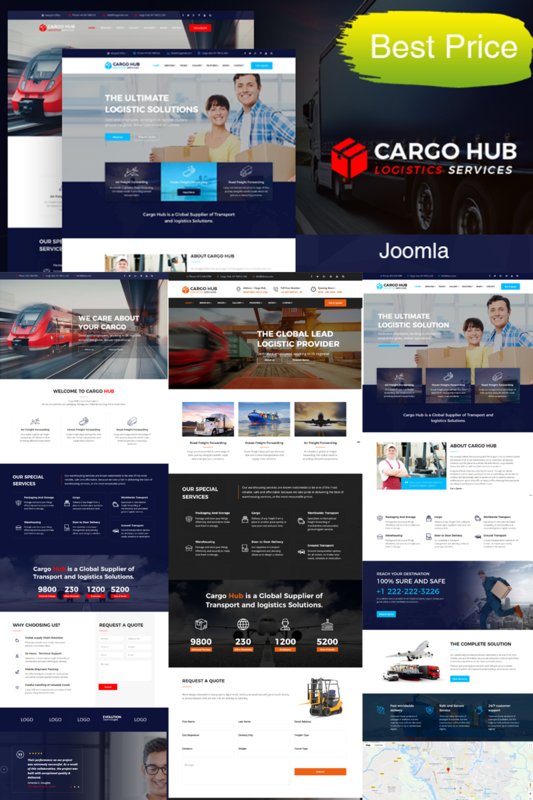 Cargo HUB is the best transportation and logistics business Joomla Template built with Helix and Sp Page Builder Pro. It is created for logistics, trucking, transportation companies, create online transport logistics, truck, shipment, fleet, flat mover, moving company, shipping, warehouse, delivery, freight services, corporate, showcase, responsive creative portfolio, package, storage, multipurpose business and small freight business. We designed a detailed homepage layouts that will fit any transportation industry size. If your company are Air Freight, Sea Freight, Road Freight, Warehousing, overland network or all of that together, you'll certainly find a layout that will fit your needs.